A little more than a week ago, Mark Casse was among the seven nominees who failed to gain the necessary votes to enter Thoroughbred racing’s Hall of Fame in Saratoga Springs, New York. Now, on the first Saturday in May, the 56-year-old Casse will get a chance to prove the voters wrong. 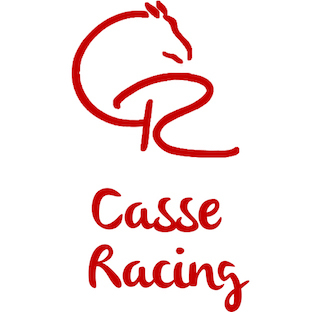 Casse, who has more than 2,200 career wins, stands 18th in the latest world trainers’ rankings, and is already enshrined in the Canadian Horse Racing Hall of Fame, has two prospective starters for the 143rd Kentucky Derby in Classic Empire and State Of Honor. An Ontario-bred, State Of Honor figures to be a longshot in the field of 20 despite finishing second behind Always Dreaming in the Florida Derby. Classic Empire has a far more regal resume. He’s the reigning 2-year-old champion and just might be the morning-line and betting favorite in the Kentucky Derby. Yet do not believe for a moment that there was nothing but smooth sailing from Classic Empire’s Eclipse Award-clinching victory in the Breeders’ Cup Juvenile to the colt’s April 15 victory in the $1 million G1 Arkansas Derby. The seas were turbulent enough to rock an aircraft carrier, but Casse and his team pulled off a remarkable training feat in getting owner John Oxley’s colt back on track after mishaps that would normally spell doom for a horse’s Triple Crown hopes. 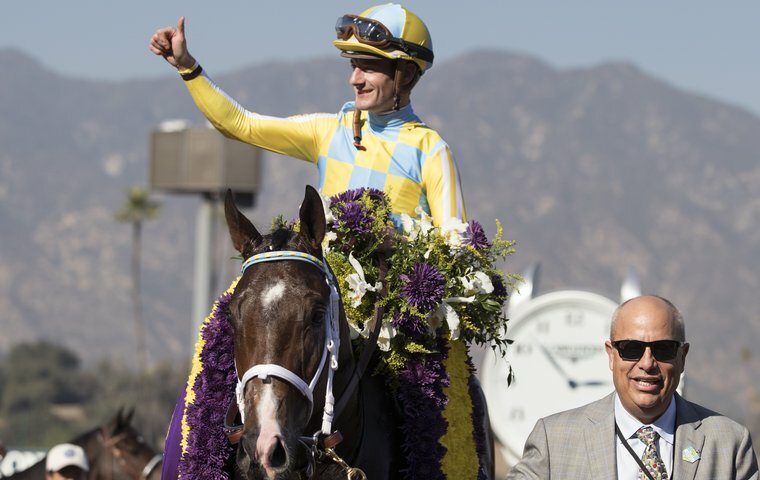 Julien Leparoux, Classic Empire’s regular rider, also marveled at the veteran trainer’s masterful role in the colt’s return last week to the No. 1 spot in the National Thoroughbred Racing Association Top 10 3-year-old poll for the first time since Jan. 30. Just a few weeks ago there was widespread conjecture that Classic Empire would not be running in the Kentucky Derby. With a stunning third-place place finish in the Holy Bull at Gulfstream Park on Feb. 4, followed by two months filled with a foot abscess, an achy back and the colt’s refusal to work on a few occasions, he checked most of the boxes for reasons why a horse would not run in the Kentucky Derby. It seemed as if everything was going wrong in a process that usually requires everything to fall into place perfectly. In order to turn everything around, Casse had to make a risky decision and bring the talented but quirky 3-year-old back to where it all started. At a time when the other leading Kentucky Derby candidates were racing in major preps and drilling forwardly to prepare for the May 6 Derby, the former division leader was sent back to Florida farm where he was raised. “It was like a fairytale. Our last-ditch effort was to send him back to where it all started for him,” Norman Casse said. “He likes there and once he got there he never had a bad day, and if he had one bad day we probably would not have made the Arkansas Derby. It was a perfect storm type of deal and we’re very proud about the way it worked out. The way that Classic Empire regained his sheen at Winding Oaks Farm in Ocala, Florida – which was formerly the home of the famed Tartan Farms – was perfectly reflected in the son of Pioneerof The Nile’s gutsy half-length victory under Leparoux in the Arkansas Derby. “Mark, along with his son, Norman, did an exceptional job with Classic Empire. Mark was the conductor, and he lined up a plan that worked so well,” said Oxley, who won the 2001 Kentucky Derby with Monarchos, and is currently ranked 24th in the world owners’ standings. “It was equal to the best plans and decisions any trainer has made coming up to the Derby. Classic Empire came into that race 21st in the Road to the Kentucky Derby points series and needed at least a fourth-place finish to gain enough points to crack the Top 20. More than that, he needed a highly competitive effort to dispel the notion that he was not fit enough for a mile-and-a-quarter test in the Run for the Roses. Yet, in one fell swoop, the Arkansas Derby accomplished all that, giving Classic Empire 100 points and elevating him into second on the points list and providing Casse, a six-time Sovereign Award winner, one of the most rewarding victories in a stellar training career that started in 1979. Fittingly, the Arkansas Derby was not without incident. Early in the race, Leparoux said he had to gather in Classic Empire because he was too eager to run following the layoff. On the final turn, Classic Empire was sixth and caught between horses, forcing Leparoux to shift outside for running room. Then at the top of stretch, with Classic Empire moving into fourth, it looked for a brief moment as if fatigue would set in and he would not catch the dueling Conquest Mo Money and Malagacy in front of him. Yet, in that final furlong, all of the ability and class that made Classic Empire a champion came bubbling to the surface as he surged past a determined Conquest Mo Money to claim his fifth win in seven starts and regain his lofty perch among the 3-year-old rankings. “It just shows you the talent of the horse,” Mark Casse said. “He could have easily finished third or fourth and everyone would have said, ‘well, he ran a big race given all the things that happened to him.’ And, in my mind at the eighth pole, I had already run that through my mind. I didn’t think he’d get there. I thought that, given the difficulty he had in the race, he might get a little tired at the end. Leparoux also believes Classic Empire can reap the benefits of his performance in the Arkansas Derby. As much as the $2.1 million earner has come full circle from a division leader in January to a likely Kentucky Derby favorite, his ride on the ferris wheel of fate has including some harrowing moments both on the ascent to fame and the regaining of lost stature. The Bashford Manner Stakes on July 2 at Churchill Downs was Classic Empire’s second start and it gave Casse the first indication that he had a special though temperamental colt in his barn. After ducking in at the start, Oxley’s 2-year-old was seven lengths off the pace in a six-furlong race but still managed to roll to a three-quarters of a length victory under Leparoux. Classic Empire was anything but good in his next start when he was sent off as a 3-2 favorite in the G1 Hopeful Stakes at Saratoga. As soon as Classic Empire came out of the gate, he took a right turn toward the outer rail and unseated jockey Irad Ortiz. Classic Empire was much better in the G1 Breeders’ Futurity at Keeneland when he posted a three-length triumph, then wrapped up the 2-year-old title by fending off a late bid from Not This Time to record a neck victory in the Breeders’ Cup Juvenile on Nov. 5 at Santa Anita in a quick 1:42.60 for the mile and a sixteenth. Given three months to prepare for his 3-year-old debut, all seemed fine until Classic Empire stepped on the track for the G2 Holy Bull at Gulfstream. Sent off as an odds-on 1-2 favorite, the Kentucky Derby favorite was awash with sweat and lather as he entered the starting gate. After winning all of his starts when his jockey was able to stay aboard him, Classic Empire was a couple of lengths off the lead for much of the race but came up empty in the stretch and wound third, nearly nine lengths behind the front-running winner, Irish War Cry. At an immediate loss for an answer, a couple of days later Casse discovered Classic Empire had an abscess on his right front foot, which explained why he was so distressed in the Holy Bull. As the abscess healed, Classic Empire’s return to the races was delayed even more by back issues. Complicating matters were a few times when the headstrong colt refused to break off for a work. After the Holy Bull, Classic Empire did not log a timed workout until March 12 at Palm Meadows. A week later, the 2-year-old champ again refused to work and, with the prep season rapidly drawing to a close and hopes of making the Florida Derby or Blue Grass fading, Casse knew he was down to his last strike. He shipped the colt to Winding Oaks, and something magical happened. Reunited with exercise rider Martin Rivera, who handled Classic Empire in his first days under saddle, Oxley’s $475,000 yearling buy began to show his old verve. He worked flawlessly and steadily in four drills, including five-furlong gate works in 59.40 and 59.60 seconds, that had him on edge for the very last Kentucky Derby prep, the Arkansas Derby. The Arkansas Derby completed one leg of the journey, but, in order to continue moving forward, all involved know the three-time G1 winner will need to be on his best behavior for the next few weeks – especially on the first Saturday in May. More than a week into that process, it’s so far, so good. Of course, with Classic Empire’s rambunctious past, it’s hard to feel supremely confident that peace and tranquility will be the norms throughout the Triple Crown season. “I think he’s happy to be back at Churchill Downs, and I’d like to think he’s put his bad behavior behind him,” Norman Casse said. “But I also thought we had figured him out going into the Breeders’ Futurity when we put blinkers on him for the first time. He’s had these issues since he’s been in the barn, refusing to train or acting quirky on the racetrack. We thought putting on the blinkers solved everything and we wished we had done it before, but then he started acting up with the blinkers. While a crush of media attention figures to be focused on Classic Empire in the days leading up to the Kentucky Derby, operating in relative obscurity will be Casse’s other Derby starter, State Of Honor. The Conrad Farms homebred has just one victory in ten starts and is winless at three. Yet runner-up finishes in the Florida Derby and Tampa Bay Derby and a third behind McCraken in the Sam F. Davis illustrate how his presence in the field for the Run for the Roses is hardly an afterthought. “He shows up every time and runs well,” Mark Casse. “Didn’t have a lot of experience on dirt but he tries hard and his race last time was a little better than it looks. Handicappers might beg to disagree, but the way Norman Casse sees it, his father has a solid hand for the Derby with two legitimate candidates, not just the one with an Eclipse Award on the shelf. “People are taking State Of Honor for granted,” he said. “He’s going to make a lot of noise in the Derby. He really loves Churchill Downs and he’s a nice horse to have as a counter punch for Classic Empire. Everyone is valuing the Florida Derby as the best prep of the year, but no one mentions the horse who was second in it. In a year when so many horses have been inconsistent he’s been quite consistent. I’m super high on him. Who knows? Perhaps Casse can finish 1-2 in the Kentucky Derby, something that last happened when Harry S. Truman was in the White House. It was Ben A. Jones who sent out Triple Crown winner Citation and Coaltown to cross the wire first and second in the 1948 Run for the Roses. Since then many have tried and all have failed. If now, 69 years later, Mark Casse can duplicate that feat, it would put him in very select company – the kind that deserves a plaque at Saratoga in the Hall of Fame.